“Disorderly thoughts about food are a common source of unhappiness in this world of plenty.” (Finding Happiness, Abbot Christopher Jamison, Phoenix). It is strange and disconcerting when you read something that clearly and succinctly describes your experience! I only realized I was having such disorderly thoughts about a year ago but my story of weight gain and loss began some time ago. I started putting on weight when I stopped being a student and entered the workplace as a Solicitor in London over 20 years ago. I was travelling by train and tube, spending all day sitting and doing very little exercise. I did nothing very determined to lose weight until after the birth of my son, some 10 years later when I joined a slimming group and managed to lose a significant amount of weight. Over time the weight crept back on, and again I joined another slimming group and lost weight. About 3 years ago following the death of my mother-in-law, after a long and brave battle with cancer, I decided that I really needed to sort out my weight which had reached a new max! So, I joined a different slimming group and in the space of a year lost over 2 stone and dropped 2 dress sizes. I was very determined not to regain the weight and to try to break the vicious cycle that I had been trapped in for so long. I would love to be able to say that I prayed my way through the slimming process but that is not true, I just followed the set slimming plan and did not bring God into the equation. Losing weight is hard work, but once you change your mindset and actually start dropping the pounds, it can become a little addictive. The sense of gaining control of something that has so often seemed out of control is a powerful feeling and builds a sense of confidence and inner strength. Having lost 2 stone by April 2009, the challenge of how to maintain this lower weight presented itself. Linked to this was the challenge of retaining the same sense of confidence and strength in the absence of dieting and the weekly reward of weight loss. I realised that my relationship with food was complex and not often healthy. My own sense of wellbeing was very much linked to feeling physically full and satisfied as a result of eating. I like to eat to comfort myself and also to reward myself. In fact, any feeling of extreme emotion was, and perhaps still is, a trigger to eat. After a year of maintaining my lower weight and dress size I came to the uncomfortable realization that food and meal planning was dominating my thinking in an unhealthy way. While I had control over what I was eating and preparing at home, I would have a sense of panic and defeat when facing a meal out with friends or a weekend away. I was fearful of what that food would do to my weight and how much work I would need to do in terms of exercise and denying myself food treats during the following week to maintain weight loss. In the moment I would enjoy the food and then perhaps over indulge, feel guilt, punish myself with exercise and dieting and so the cycle of weight gain and loss was in fact self-perpetuating. To the casual observer, however, my weight was under control because my clothes still fitted and I was significantly thinner than I used to be! I was concerned that, as a Christian, food had become such a destructive focal point and I did begin to pray about it, but I felt defeated, although I looked thin! Offering hospitality is an important expression of our Christian faith, but at that time my relationship with food was presenting a real barrier to giving and, more particularly, to receiving, hospitality. I had a moment of unexpected revelation about a year ago which led me to link food, faith and freedom in Christ for the first time. 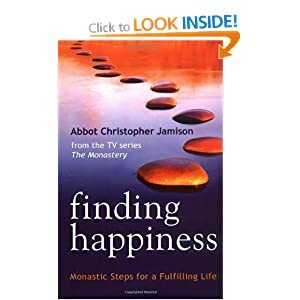 I read the book Finding Happiness by Abbot Christopher Jamison to keep a friend happy as she had recommended it and wouldn’t stop talking about it. It turns out she was right – it is a very good book! The chapter on Gluttony spoke quite profoundly to me. Father Christopher takes us back to ancient monastic teachings and traditions about food and suggests that readers consider how to spend less time thinking about food and simply enjoying modest but regular eating. He recommends awareness while eating and avoiding impulsive eating as well as being sensible and choosing to eat enough but not more than enough. The monastic tradition encourages eating only at appointed times and accepting the food we receive at the hands of others. I have found that prayerfully following these simple steps and not weighing myself has helped me break the patterns of destructive thinking and behaviour that I have been experiencing around food for so long. I am taking regular exercise as a matter of routine to promote health generally rather than purely to combat weight gain. I believe that God wants to work in our lives to bring us to wholeness rather than thinness. For some people wholeness will mean weight loss. I suspect that this will always be an area of weakness and struggle, but on a daily basis I am giving this issue to God in prayer expressing thankfulness for the food that I have and asking for help in breaking unhealthy attitudes. Obviously as I no longer weigh myself, I am not able to say for sure that I have maintained my weight loss; however I am still in the size 10 clothes that I purchased 2 years ago! Deborah Walton is leader of City Lights, the ChaplaincyPlus work amongst young adults. ChaplaincyPlus is a Birmingham based Christian charity that offers support, encouragement and resources to those working in the professional and commercial sectors in Birmingham City Centre. 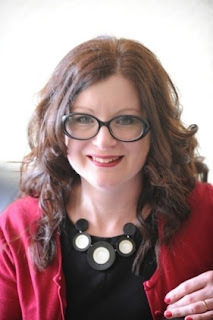 Before this, Deborah spent 20 years in legal practice in both London and Birmingham having been called to the Bar in 1991 and then qualifying as a Solicitor in 1997. Deborah lives in Wolverhampton with her husband Peter and 13 year old son Caleb. In addition to her work with ChaplaincyPlus City Lights, she is secretary to the Birmingham Lawyers Christian Fellowship and is also a volunteer member of the Transforming Church Co-ordinator’s Team in the Birmingham Diocese. Deborah is a member of Birmingham Cathedral Chapter and is active in the life of her local Church leading a home group and being involved with pastoral care.